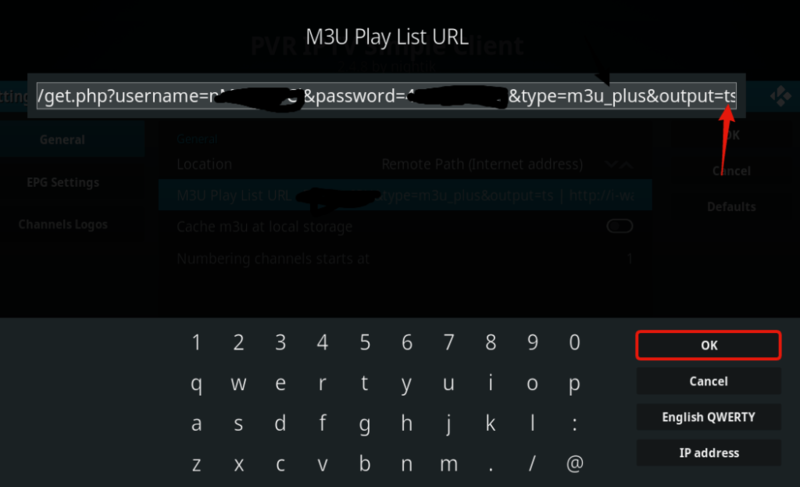 Before we set the Play list url disable the “Cache m3u at local storage” Radio button, so we keep getting new TV Channels. 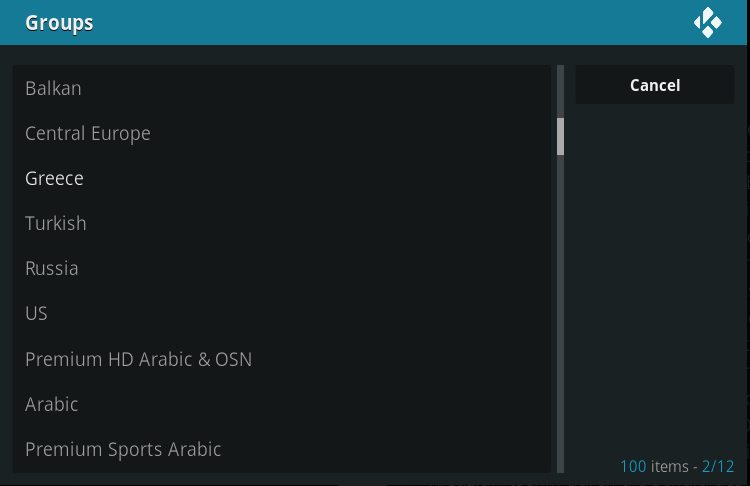 Now click on the M3U Play List URL Bar to add our m3u source. 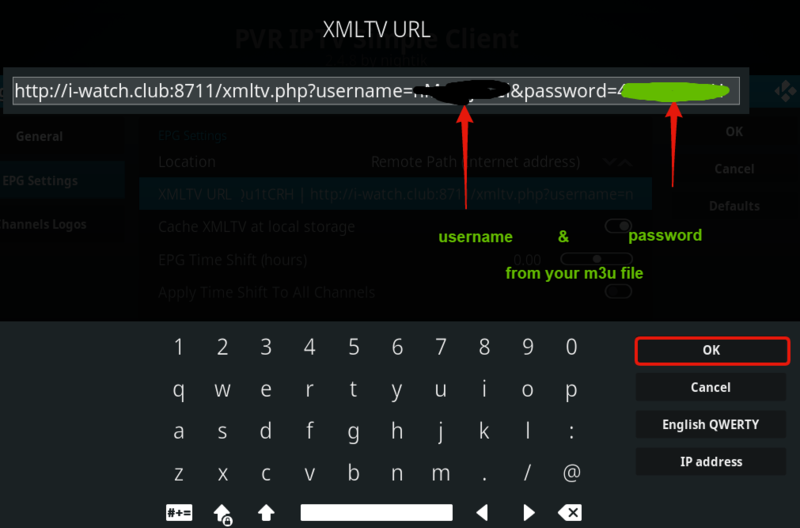 Now Navigate to the “EPG Settings” and click on the XMLTV URL Bar to set our XMLTV Url. Double check if you have all the Settings correct.Now press “OK” to close the Settings Tab. 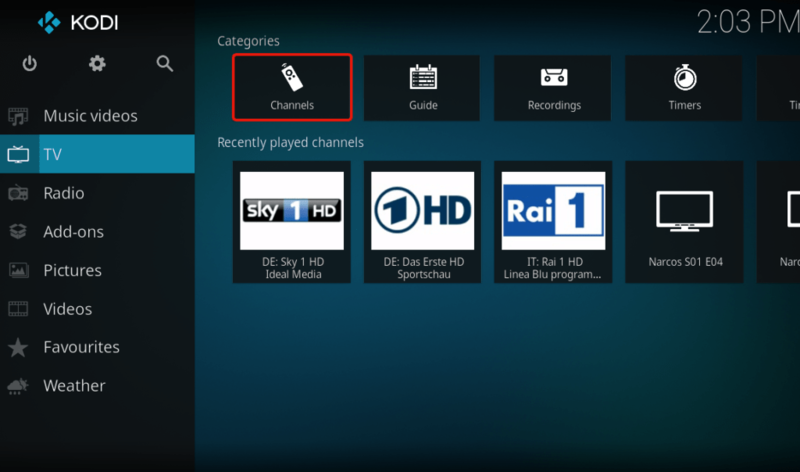 Notice that a message will pop up telling us that the Channels are loaded. 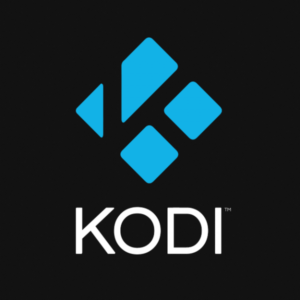 Let the Programm finish loading all the files, and then restart Kodi. 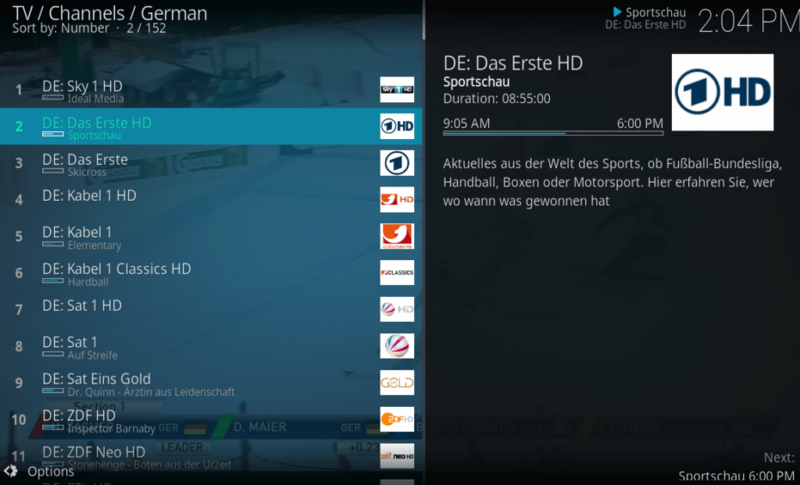 All Channels should be listed now, you can see a bar on the right side where you can see informations about the channels, what Show is playing, information about the Show and also how long the Show plays. 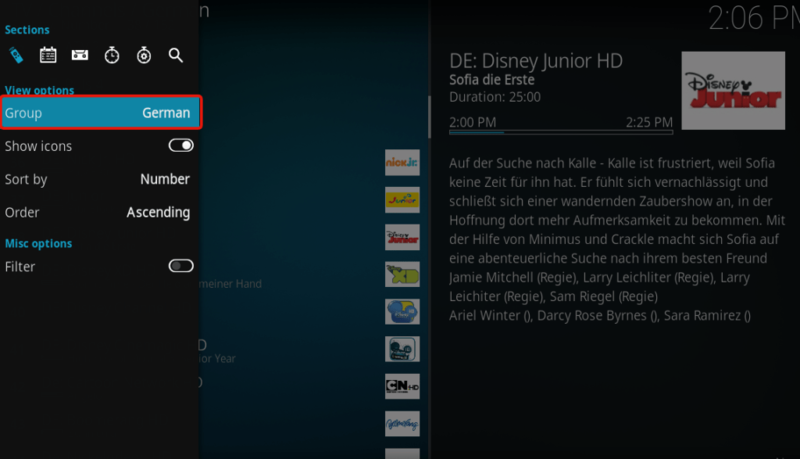 By clicking “LEFT” or pressing the “Options” button expanded options will show click on Group to filter the TV Packages. 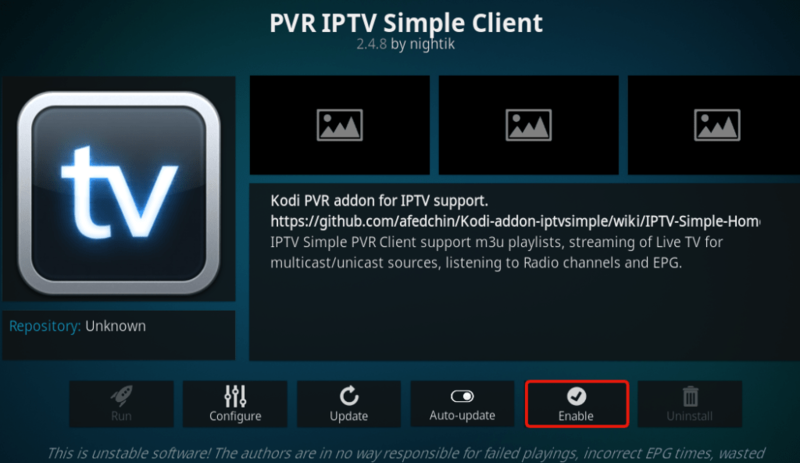 Here you can set what Package you want to display you can also use ALL Channels or choose VODS (Video on Demand) and pick shows like The Game of Thrones etc. 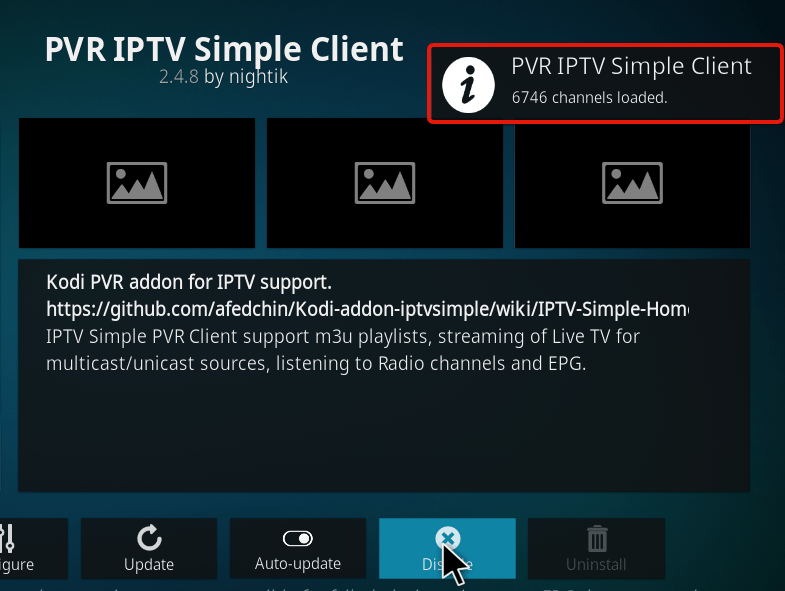 Done, you should now be able to watch iptv !